That’s right, pie for dinner. Or lunch. 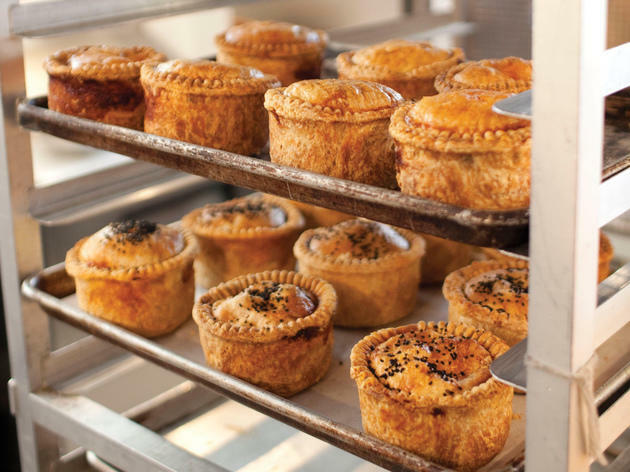 Dig into these savory pies, meat pies and pot pies from top Chicago bakeries. Photograph: Erica Gannett Pleasant House Bakery is one of the best restaurants in Bridgeport. Pie: It's what's for dinner. Okay, sure, that's the advertising slogan for Beef, but you can totally shove steak inside a pie. 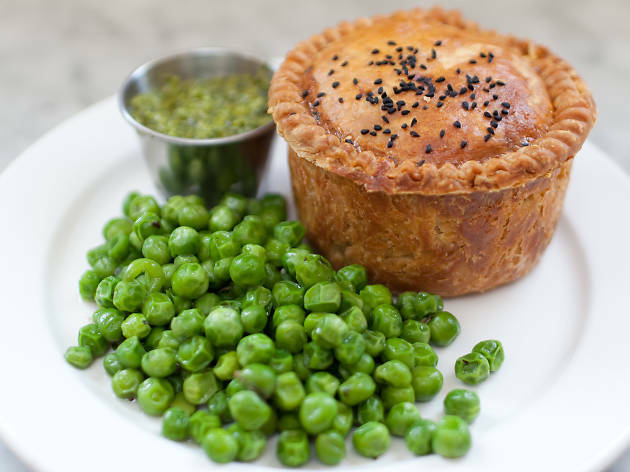 We Americans tend to first think apple when we think pie, but thanks to an influx of British food and Aussie influences, savory pies and meat pies are growing more popular. 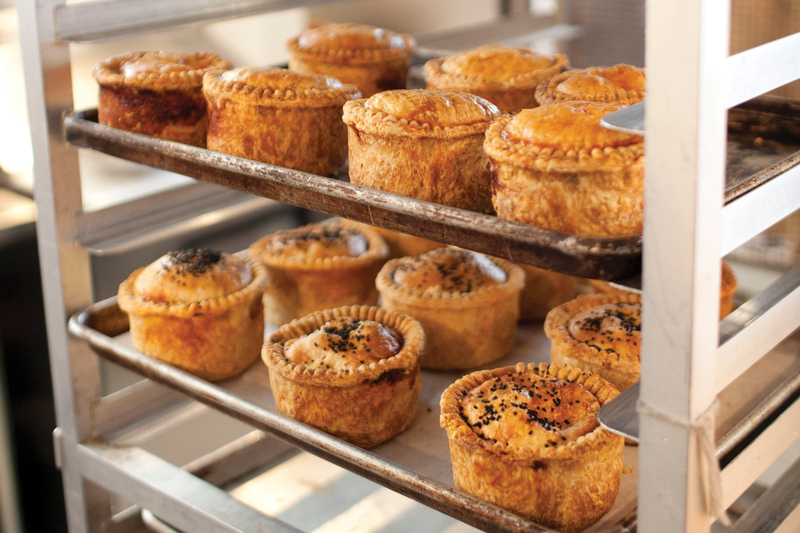 Some of our favorite bakeries serve up killer pot pies and hand pies, too. 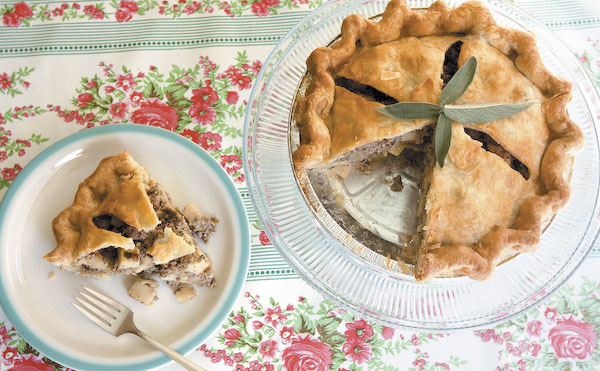 You haven't lived life until you've eaten a "double pie" meal—a slice of savory and a slice of sweet—whether you're celebrating Pi Day or just eating your feelings. 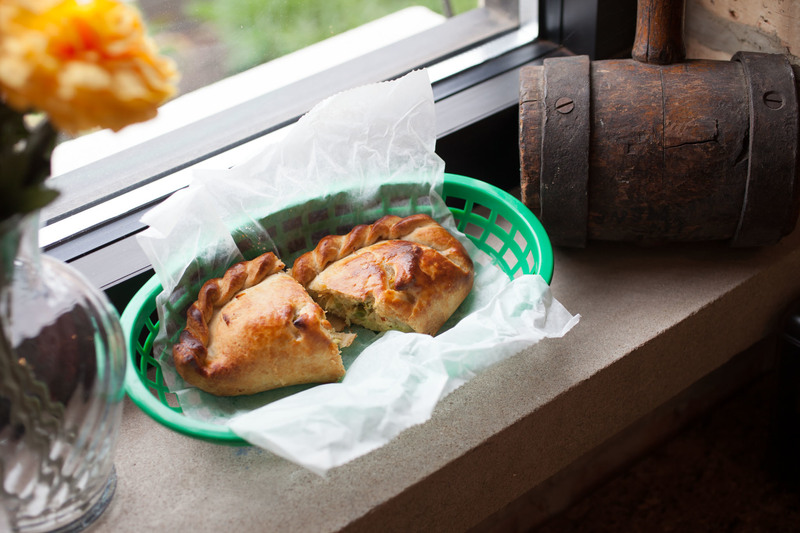 So break through the crust and try these top vegetarian and meat pies in Chicago. 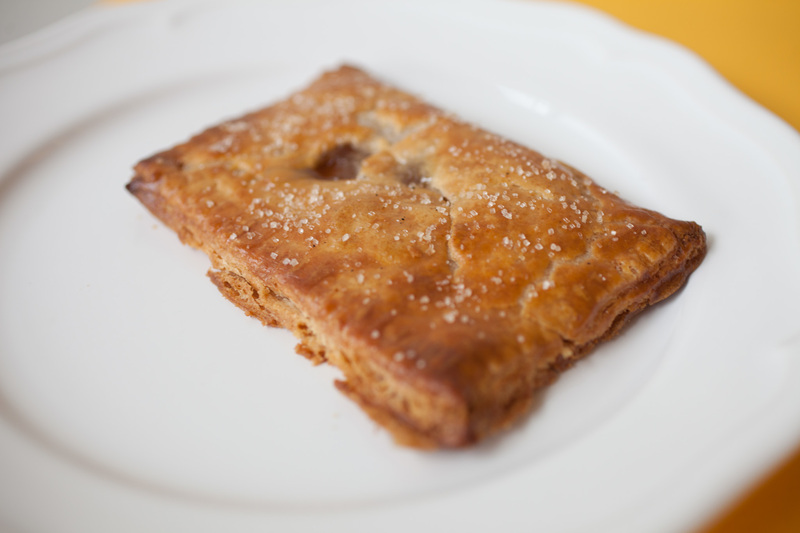 Okay, so these are technically more like "Pop Tarts" but… man, cheesy, meaty Pop Tarts. Genius. Of all the pastries at this impeccable bakery, the savory hand pie is our favorite. 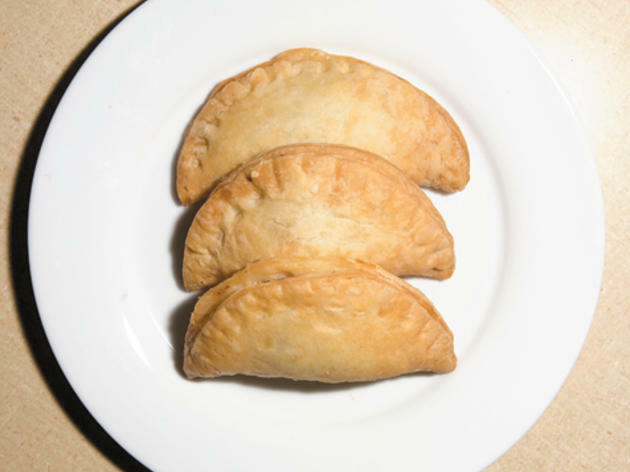 Made with whole wheat pastry crust and stuffed with meat or vegetarian options (like onions and Havarti), it tastes like a much-improved toaster treat stuffed with a cheesy yet slightly sweet filling. 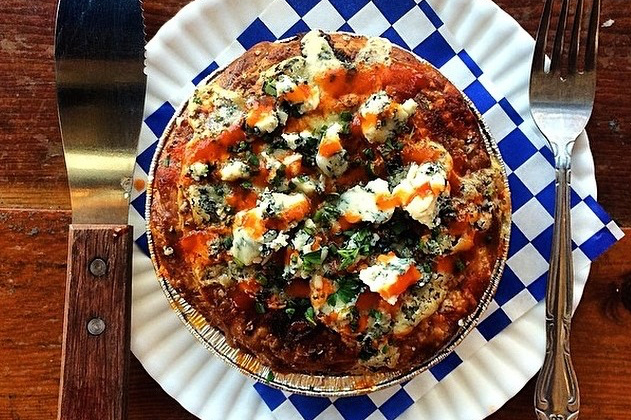 The food truck-turned storefront specializes in two things: pie and biscuits. 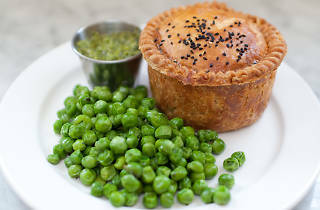 On the savory front, Bang Bang serves up a decadent slice of chicken pot pie crammed with carrots, peas and meat. 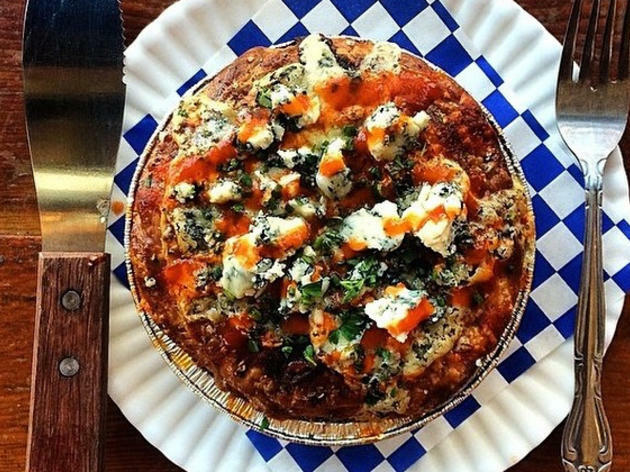 You can "buffalo style" it with blue cheese and hot sauce and/or (and let's be honest, it's "and") top it with an egg. Keep an eye out for the seasonal stratas, too, with fillings like squash (pictured). 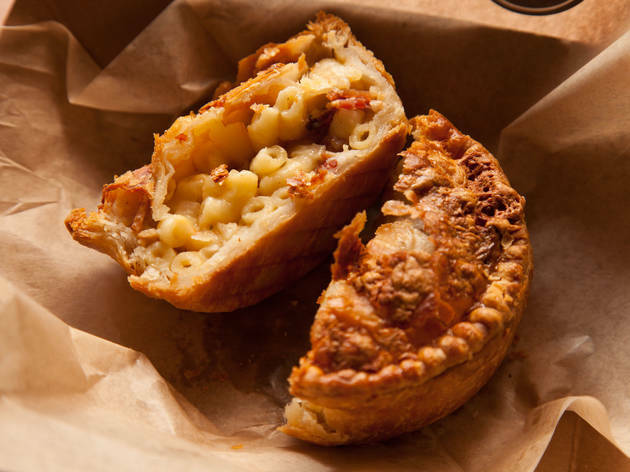 Jay Sebastian and Carrie Clark spun this Bridgeport favorite off their food truck, Bridgeport Pasty Truck. 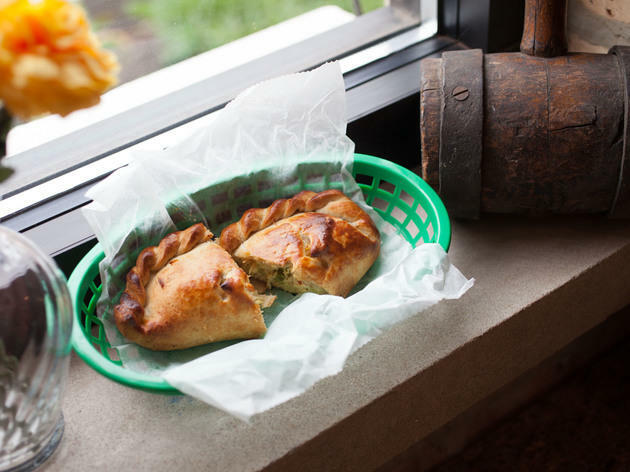 Try the steak and stilton pasty, featuring tender steak and blue and swiss cheeses, or go for the fan favorite "oinkle," made with pork sausage and apples. 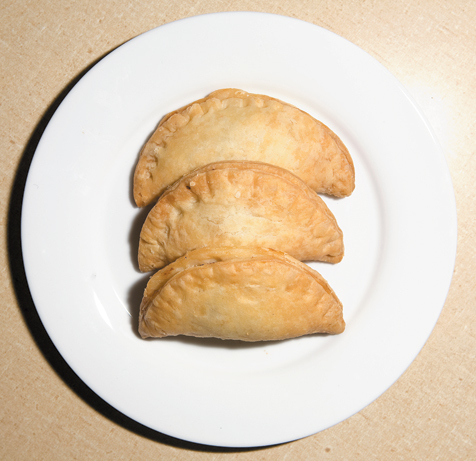 Vegetarians can choose the veggie pasty, filled with spinach, mushrooms, onion, cheese and Bechamel sauce. 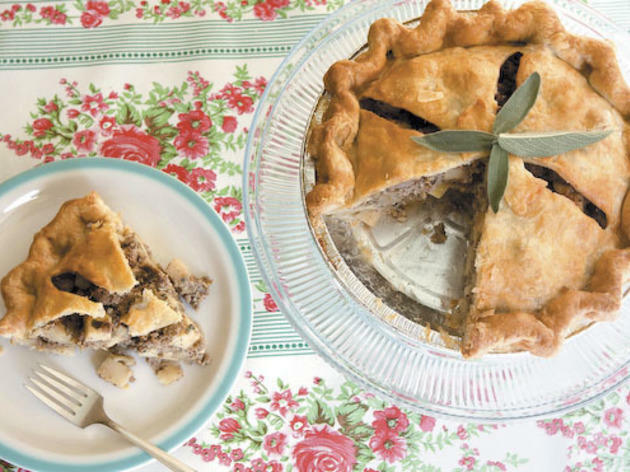 Former fine-dining pastry chef Paula Haney made a name for her pies at farmers’ markets and coffee shops. Her original tiny, retro pie shop further expanded her reputation. The pies are, in a word, extraordinary. The chicken pot pie is not the soupy, puff-topped standard to which you are accustomed. No, this sucker is chunky, hearty, sliceable and able to stand up. Other savory varieties include the Pork Apple Sage (pictured), Chicago-Style Italian Sausage & Peppers Pie and Colcannon, an Irish pie filled with cabbage and potato that pops up more around St. Patrick's Day. This upscale bar is dark, with glass brick windows, rounded leather booths on the perimeter and a bar in the center. The latest spot from Heisler Hospitality (Trenchermen, Bangers & Lace) serves snacks from Bridgeport’s Pleasant House Bakery (see below). 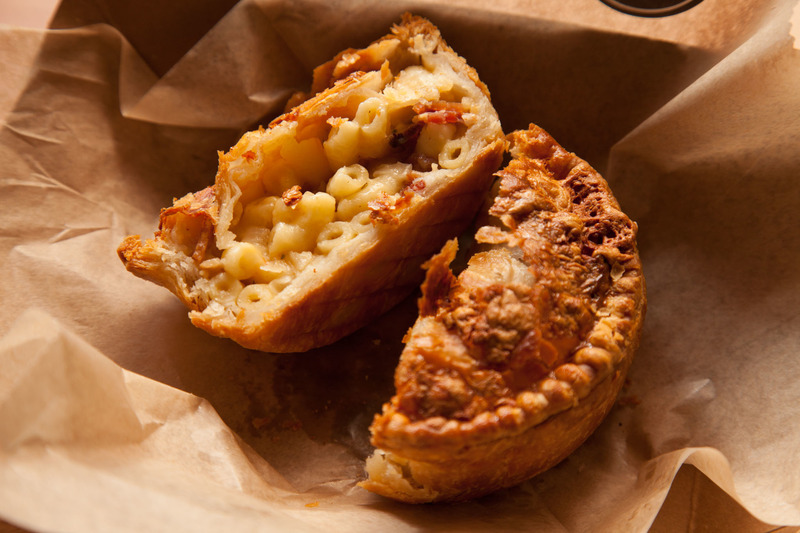 That means Royal Pies in the typical varieties (Steak & Ale, Mushroom & Kale) as well as the Mac Daddy (loaded with mac & cheese and bacon) and Cowboy Queue, a sort of Tex-Mex take on England with brisket and lima beans. Individual pies filled with earthy kale and mushrooms. These flaky delights, re-creations of homey British food from Art Jackson (formerly the chef of Bijan’s Bistro) and his wife, Chelsea Kalberloh Jackson, are the bread-and-butter of this small Bridgeport shop. You can also find their Royal Pies in the frozen section of finer local grocers.